WASHINGTON — The French Air Force chief of staff provided top cover for the future Franco-German fighter at a time when the French defense industry is increasingly concerned that cooperation with Germany could curtail its ability to export the system. “There is a real determination" at the highest levels of government — including French President Emmanuel Macron and German Chancellor Angela Merkel — to agree on export controls, said Gen. Philippe Lavigne during a Feb. 7 roundtable with reporters. "It’s a need for our security, but it’s also a need for our industry, and we have to develop this,” he said, adding that Spain has already signed on as an observer to the program and that others are expected to follow. The ambitious Future Combat Air System program chugs along with more concept development to be done. Next stop: Paris Air Show in June 2019. The French government is generally seen as more supportive of arms sales than its partner in the sixth-generation fighter program, called the Future Combat Air System, or FCAS. While enthusiasm for the program remains high, some French defense industry officials are concerned that Germany’s involvement could prevent sales to countries that Berlin considers rogue actors. But settling an export policy is just one of the many questions about the FCAS program that are still yet to be answered. 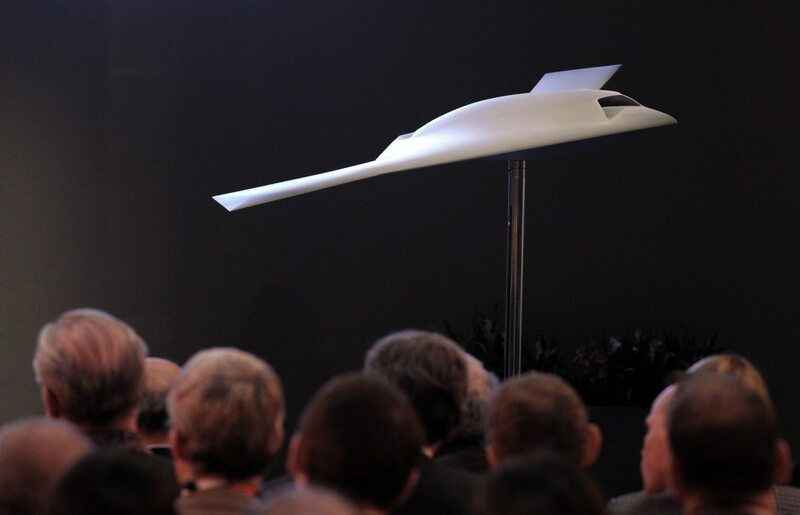 So far, France and Germany’s concept for FCAS involves a network of swarming UAVs, new weapons and a sixth-generation fighter that can exchange information with each other. FCAS would replace France’s Rafale and Germany’s Eurofighter around 2040. “We haven’t decided what will be the architecture,” Lavigne said. “Will it be this type of aircraft? Will it be this type of [UAV]? Will it be this type of unmanned combat air vehicle? Will it be this type of missiles? But we know that we will share an architecture. Earlier this week, the French and German governments awarded €65 million (U.S. $74 million) to Dassault and Airbus for the two-year study that will solidify a path forward for FCAS, and the companies plan to announce demonstrator programs at the Paris Air Show this summer. Lavigne wasn’t clear on how the governments would reconcile different requirements, like France’s intention to launch FCAS from aircraft carriers, which could drive different design attributes than a fighter that takes off and lands conventionally. “Of course we will have national interests in France with the nuclear deterrence. Germany will have different national interests,” he said. However, he stopped short of saying how much commonality is expected between the two militaries. Until the study is complete, it is “too early to say” whether FCAS will be manned or unmanned. However, Lavigne said a human will continue to be in the loop — especially for nuclear deterrence missions — whether a human is in the cockpit or it is remotely piloted. The U.S. Air Force and Navy have ongoing efforts to create a new fighter design, but what does that look like? FCAS’ system-of-systems approach is similar to the U.S. Air Force’s vision for Penetrating Counter Air, its future air superiority concept. The Air Force hasn’t shared which defense companies are involved in conceptualizing or prototyping future technologies that could be pulled into a PCA program of record, but it requested $504 million in fiscal 2019 to push the effort forward, with investments projected to hit $3 billion in FY22.